**We currently are unable to provide TNR services outside of Middletown and will never relocate or remove feral or stray cats from an area. It is cruel and we do not support this behavior. To find a rescue that is closer to the town you/the cat(s) reside in, please visit this website and type in the town and click search. We are at capacity so we are also unable to take in friendly stray cats or kittens that are found, however, we are able to help promote adoption by posting on our social media and website. See our Community Cats Page for more information. If you are looking for ways to help or stop the overpopulation and cycle of kittens, we are willing to lend out humane traps and provide education on how to trap cats. It is also easiest for you to contact rescues closest to your town and ask to barrow trap(s) so you don’t have to travel very far to pick up any equipment. You can also use the resources below for caring for the cat(s) when they are returned after their spay/neuter surgery. 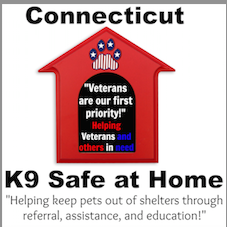 The list further below also contains all low-cost spay/neuter clinics in CT that can help with the financial burden. Thank you for caring for the feral or stray cat(s) in your neighborhood. Caring for a feral colony is hard work but can be so rewarding. Each colony needs to have food and water daily. If you cannot get to the colony on a daily basis, we recommend replenishment bowls that you can buy at local pet stores. You want to select bowl colors that will blend in with the area where you’re feeding and not cause unnecessary attention. As far as the type of bowls, heavy plastic bowls are versatile and easy to clean. Metal can retain heat or cold more than plastic, staying cool or staying hot longer. We do not suggest glass as it can break and be a safety threat to the cats. In the winter, freezing water is the biggest threat. There are ways to help ensure your feral cats have access to water in the winter and preventing water from freezing. We also encourage a feeding station to help keep the food and water protected from the sun and rain. The station should be located where you can easily get to it but is not easily visible to the public and should not be directly on the ground. Raccoons cannot jump as high as cats and it protects the food/water from any ground water after rain/snow. You can either buy one already made or you can easily make your own. To help feral cats keep warm in the winter, there are many options for winter shelter. You want to make sure that the shelter is insulated and that you use STRAW, not hay or towels/blankets. Straw will help keep the shelter dry while also keeping the cats warm, where as hay, towels and blankets can get moldy and hold moisture; causing body heat to be drawn away from the cat(s). The cats will be able to huddle together to use body heat along with the insulation and straw to keep warm. There are many ways to construct winter shelters or purchase them already made. Call for an appointment at 413-781-4019 or contact by email. Low-Cost Certificates for purchase with participating Veterinarians. New HOPE Spay/Neuter Clinic Inc.
A program of POA SPAY! They offer subsidized cat spay and neuter surgeries for owners with financial need. Feline and Canine reduced cost spay/neuter packages (includes vaccines). 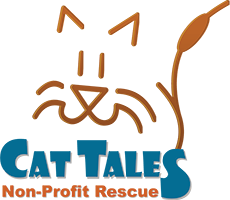 Alley Cat Allies – Alley Cat Allies is the only national advocacy organization dedicated to the protection and humane treatment of cats. Neighborhood Cats – Neighborhood Cats believes Trap-Neuter-Return (TNR) is the most humane and effective method available to end the severe feral cat overpopulation crisis faced by this country. Neighborhood Cats TNR handbook – guide to feral cats, care and TNR. Cat Tales used this guide along with Ally Cat Allies to create our TNR policies. Humane Society of the United States – The Humane Society of the United States is the nation’s largest and most effective animal protection organization.